Teenage twins Rose and Daniel aren’t allowed phones, computers, even a TV, thanks to their conspiracy-obsessed father. But when the people he always thought were after him actually turn up, the twins realise he wasn’t as paranoid as they’d always thought. With their dad missing and their house burned to the ground, Rose and Daniel find themselves at the centre of a worldwide conspiracy that stretches back through the ages, involving some of the most powerful and mysterious organisations on the planet. Why them? Why their dad? The answers to these questions and other, darker mysteries lie beyond the doors of an ancient house called Skerryvore. These mysteries link the twins to a Dark Age king and queen, to a secret society that stands behind the City of London, and an energy source that links some of the world’s most ancient sites into a network that has the power – literally – to change the world. 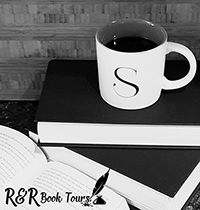 Skerryvore is the first book in the Dark Net series. I am a journalist and writer living in Dorset, England with my wife and rampaging toddler. I write about technology, innovation, green issues and political commentary for various publications including The Independent, The Guardian, Wired, Private Eye and International Business Times. 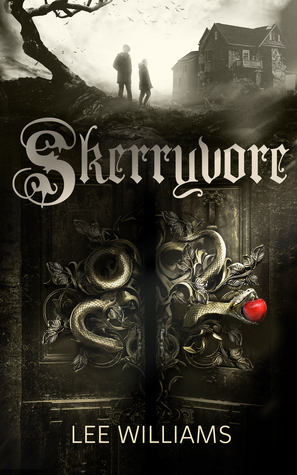 Skerryvore is my first, and hopefully not last, novel! Twins Rose and Daniel are not allowed any technology and they go along with this ban. But then their father that works in a big tech company and is obsessed with conspiracy theories goes missing and their home burned to the ground. The twins find themselves in an old mansion called Skeryrvore. There they learn of their connection to a king and queen, Arthurian legend, and a secret society. I really enjoyed this book. There is a lot of edge of your seat action and a great story that was hard to put down for things like work or sleep. It seems so strange that the twins were not allowed technology and that they just accept it. I did love this world. There was so much that caught my eye and kept me reading. Of course the ending makes it feel like there is more to come. I can’t wait to see what the next step for the twins is. This is one book that will appeal to all ages and will be one that you will be adding to your shelf. I would like to thank Sage’s Book Tours for the opportunity to read and share this book. Daniel took a deep breath. It must be right. This must be the last piece in Mr Picketty’s jigsaw that led to the secret of Skerryvore – a sword in a stone. He couldn’t just be imagining this. He had to have faith. Daniel closed his eyes and went through the technique Mr Humblestone had taught them for being in the present. Close your eyes. Take a deep breath. Empty your mind of thoughts. Listen to the sounds around you. What can you hear? He could hear the sound of waves and gunfire echoing around the metallic roof of the chamber. What can you feel? The cold sea air against his face, the hard ground against the soles of his feet, the movement of his ribcage up and down and the beating of his heart inside it. What can you smell? The smell of the sea, the metal and oil of machinery. Now open your eyes. What can you see? He opened his eyes. He could see a sword standing in a stone with no thoughts attached to it, no hopes or fears. Just a sword in a stone. He reached out and wrapped his fingers around the cool leather of the hilt. He closed his eyes and pulled. With a scraping of metal on stone the sword came free in his hand, so easily in fact that he stumbled backwards and fell to the floor dropping it with a harsh clattering noise that echoed around the chamber. Then, slowly, another sound began to rise and overtake the first. It was a sound that came from all around, like some huge and rusty gate that hadn’t been oiled in centuries. Looking up, Daniel saw that the roof of the observatory was moving, but not in the usual way. This time it was moving outwards and away from the building, like giant hands were peeling it back. The noise roared to a deafening crescendo and Daniel watched in horror as the two sides of the roof leant outwards, balanced precariously for what felt like an eternity, then toppled and fell to the rocks below like two giant petals dropping from a flower. He was suddenly alone on a windy platform, above the sea, under the night sky. And behind him something else was moving. You are welcome. Thank you for the great story! !